You can find what your looking for at Gopen Optical. 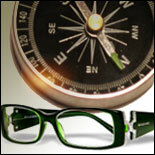 We have the fashion frames that put you on the map. As the Square continues to thrive, watch for quaint picturesque gas lights and brick sidewalks all reminiscent of Dedham’s colonial charm. Safer pedestrian intersections with improved parking facilities will also make your shopping experience at Gopen Optical convenient and pleasurable. Gopen Optical is pleased to be part of the Dedham Community Theatre Complex located in the heart of Dedham Square. As a well established and historical setting, we always look forward to providing great service and convenience to existing residents and new cliental. Stop in and say “hello”.